Another record? Another sleeve? What is this, a music blog? No. Sorry, I have no excuses for just posting records all the time. I’ve just been so damn busy, with too much work and also a photo show. But, enough, let’s get on with it. 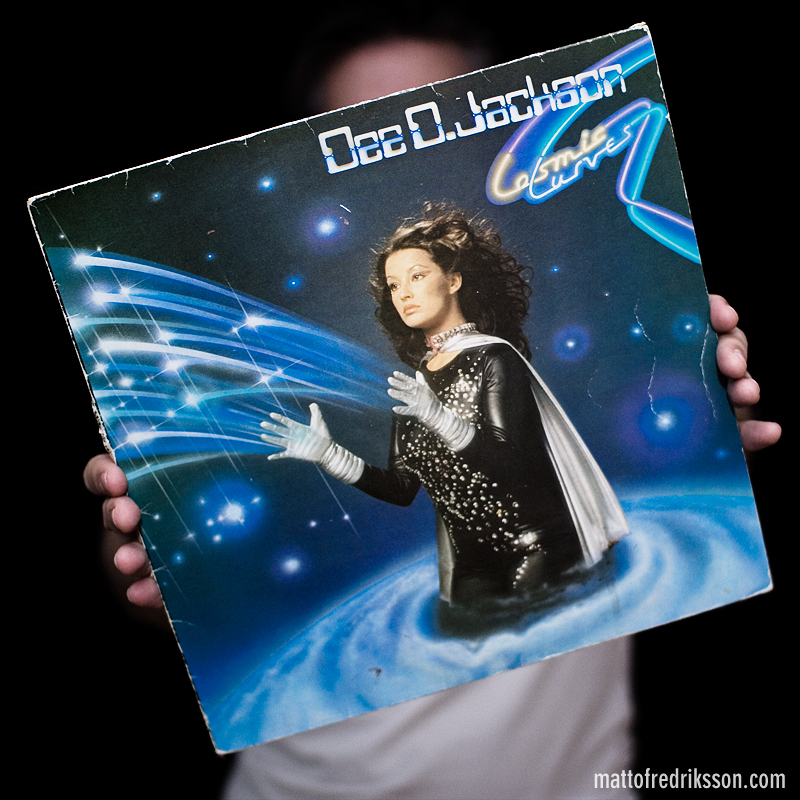 When I tried to get some more information on the Tania “Automatic Lover” seven inch, all I could find was this artist called Dee D Jackson who had an album called Cosmic Curves. Super cheesy, I know. Even though this was back in the crazy Napster days, Cosmic Curves was nowhere to be found on the internet. Or elsewhere. When I did find it, at a flea market, it was just by coincidence. I never did listen to it more than once or maybe twice. Tanias version of Automatic Lover was enough for me I guess. But I still love this crazy, cheesy cover art. And I promise that I won’t post records for a while. awesome!!! Congratulations abouth it !! a great music sing for a beaulty girl..